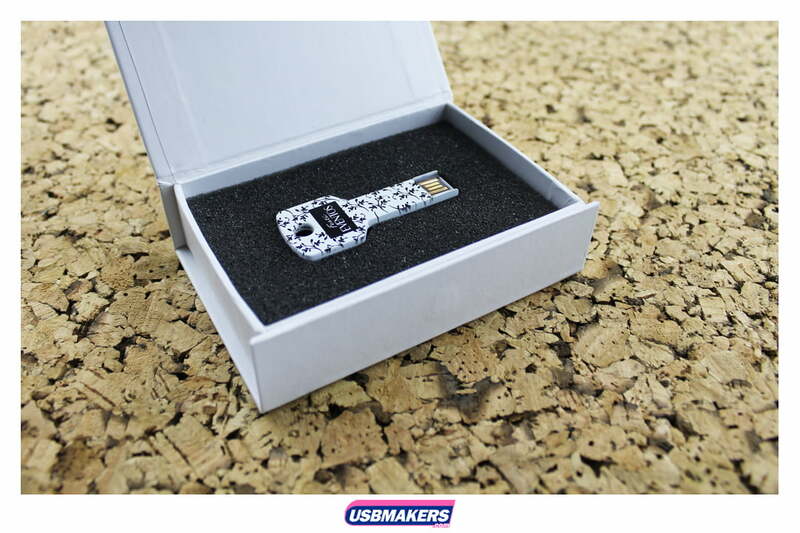 The Key USB Drive is one of our most classic styles. It is an extremely modern layout which will never get old! 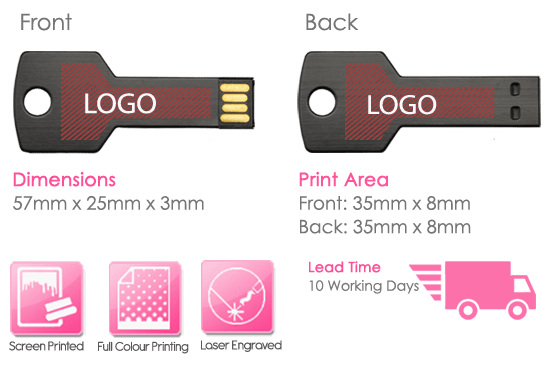 There are three different key shapes to choose from and the Key USB Drive is not only available in silver, but in these other standard colours; red, blue and black. The minimum order quantity for silver is 50 units, whilst the other three colours are accessible from a minimum order quantity of 300 units. 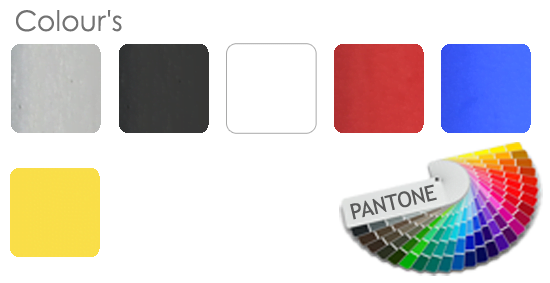 We can print up to four spot (solid) Pantone colours onto one or both sides of the Key USB Drive. 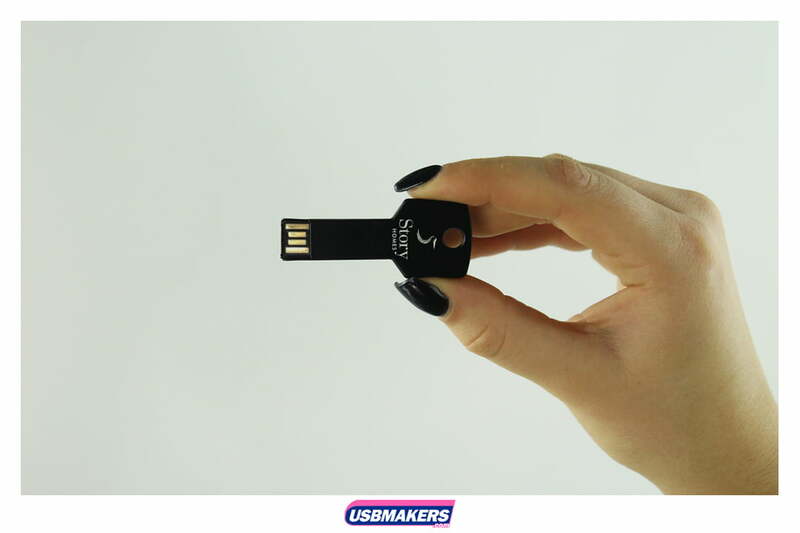 Memory sizes available begin at 128Mb and range up to 64Gb – this is because the Key USB Drive contains micro flash. 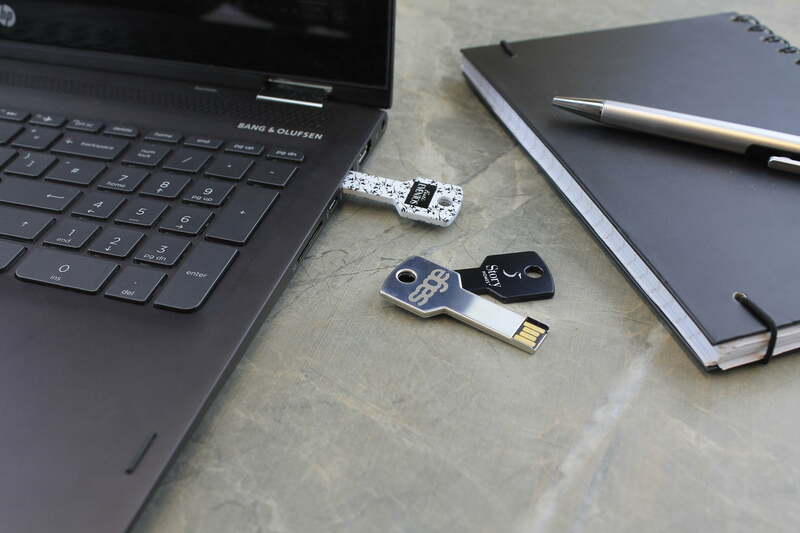 We can upload data free of charge up to 400Mb and the option to lock, unlock or create an auto-run feature for your USB order is also on offer to you free of charge.